You might recall we ran this comparison about a month back when HP's TouchPad was announced, but now we've updated it to compare to Apple's brand new iPad 2. How does the iPad compare to the completion? 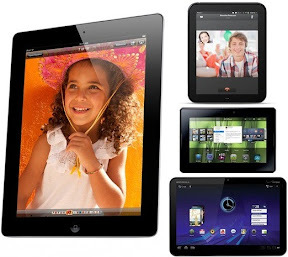 Is the iPad 2 better than the Motorola Xoom? Is the iPad 2 better than the HP TouchPad or Palm TouchPad? Is the iPad 2 better than the Blackberry Playbook? 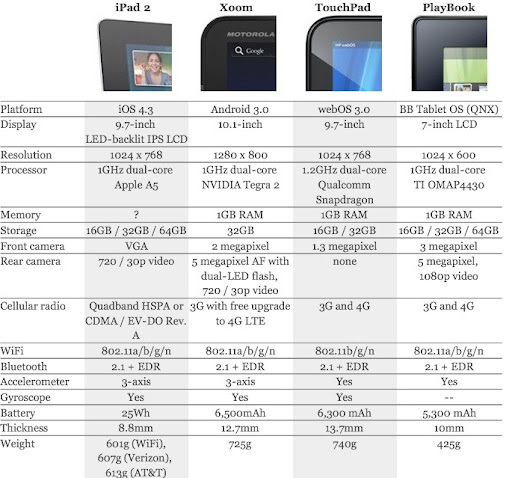 Take a look at the 2011 tablets and see how each stacks up.